I began dieting on March 1st, 1200 calories a day, but I started the 5:2 plan on March 18th. The first 2 weeks on 1200 cals, I dropped 8 1/2 pounds, but of course one always loses more in the first couple of weeks going on a strict diet. Since I switched to the 5:2 diet, for 5 days I stay between 1200 and 1400 calories. I have lost another 4 1/2 pounds since March 18th, so 13 pounds altogether -- PLUS 2 inches from my waist and an inch from my hips. How fab is that? I don't count calories or watch what I eat. I try to stick to the eat when I'm hungry, eat whatever I fancy and stop when I'm satisfied way of eating. It's working really well. All I need to do now is find time to exercise! I just finished my first week and I'm really pleased. I was surprised that I wasn't starving the day after a fast day. I've lost a couple pounds and I'm surprised by how much my appetite has diminished. 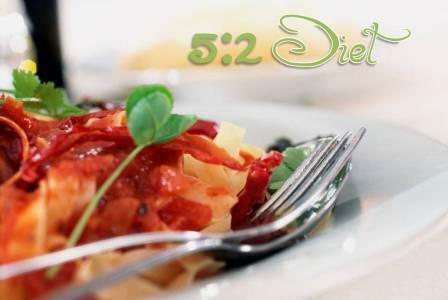 I think one of the biggest surprises of the 5:2 is the not starving the next day thing. I may be wrong, but I think it has something to do with blood sugar regulation from the fast day. Keep up the good work and keep me posted! Hi Monique, just wanted to drop in and say hi and wish you luck on your diet. I started a Yoga program and loved it for the first 8 week and my energy level went up. Now after 3 weeks of non-yoga I'm feeling it and want to get back. But, I had to stop because of rashless shinges in my left thigh, something I've never heard of. anyway, it extremely painful and I can't wait to get over it. Oh geez, got the subject. Good luck on your diet. Ouch, Judy! Sounds uncomfortable. Hope you get back to your Yoga soon.